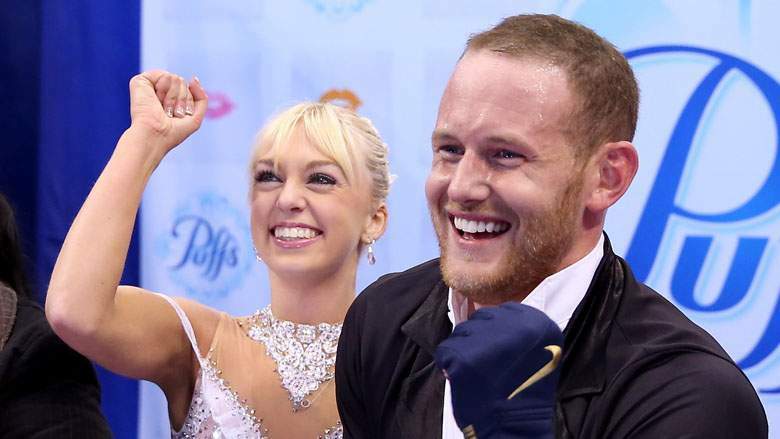 Home / #AmericanRoadRadio / #SexCrime / #SexCrimes / #TopStory / #TrueNews / #USChronicles / #USLocal / Sexual Abuse / Sport / Top Story , Sexual abuses : Who has "suicided " John Coughlin,33, U.S. figure skating champion ? Top Story , Sexual abuses : Who has "suicided " John Coughlin,33, U.S. figure skating champion ? John Coughlin, a two-time pairs U.S. figure skating champion,has died at the age of 33, a day after he was suspended by the U.S. Center for SafeSport and U.S. Figure Skating following sexual misconduct allegations. His sister, Angela Laune, said her brother took his own life following the sanctions against him. SafeSport is a non-profit that was set up in 2017 with the goal of eliminating all forms of abuse in U.S. sports. Laune wrote in her tragic Facebook post, “My wonderful, strong, amazingly compassionate brother John Coughlin took his own life earlier today. I have no words. I love you John. Always Always Brother Bear…” Laune’s post indicates that Coughlin died on January 18. Coughlin was a 2-time U.S. pairs champion as well as a consistent face as a TV analyst for figure skating competitions. He was victorious in 2012 with partner Caydee Denney and in 2011 with former partner Caitlin Yankowskas. Coughlin told the Washington Post in a 2011 interview that he skates in honor of his late mother, Stacey. His mother suffered from Ehlers Danlos Syndrome. She passed away in February 2010 at the age of just 48. Months later, Coughlin would win his first national title alongside Caydee Denney. Coughlin was an advocate against the condition, which causes extreme pain in the joints due to problems with the body’s tissue. During her life, Coughlin said his mother went through one misdiagnosis after another before finally finding a doctor who was able to give her a “clear idea of what she was fighting,” Coughlin told the EDS advocacy website. If you, or anyone you know, is battling suicidal thoughts, please call the National Suicide Hotline on 1-800-273-8255. Coughlin’s sense of humor was reflected in an official profile in which he listed his hobbies as, “horse whispering, wind watching and long walks in the rain.” His last tweet, on December 1, saw Coughlin say that he was going to see comedian Chris D’Elia perform in Boston. A few months earlier, Coughlin tweeted at D’Elia, asking him for tickets because the comedian “roasted” Coughlin on Instagram in 2017. Growing up in Kansas City, Coughlin described the skating culture saying, “I didn’t come from what’s thought of as a traditional skating powerhouse. In Kansas City, where I grew up, there were some great skaters there, but it’s not Colorado Springs, it’s not California where Michelle Kwan did a lot of her training.” Coughlin told KSHB in December 2017, “I grew up on the ice as far back as I can remember. Growing up in Kansas City, I was skating a lot of times at six o’clock in the morning on the ice.” Coughlin also said that it was common for drug testers to show up at his door at six o’clock to administer tests.